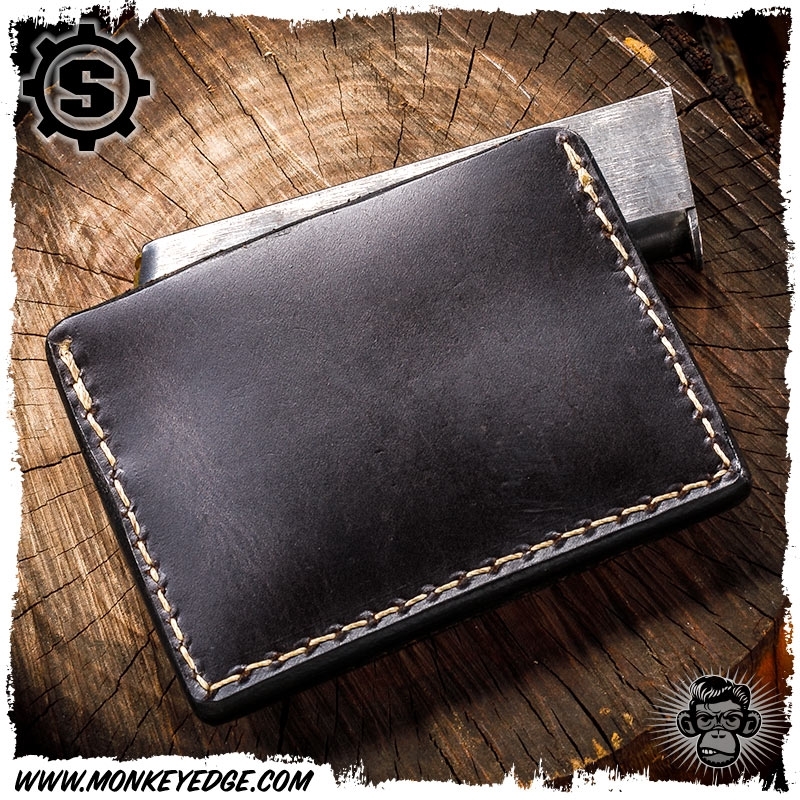 The classic simple card sleeve wallet, Starlingear style! 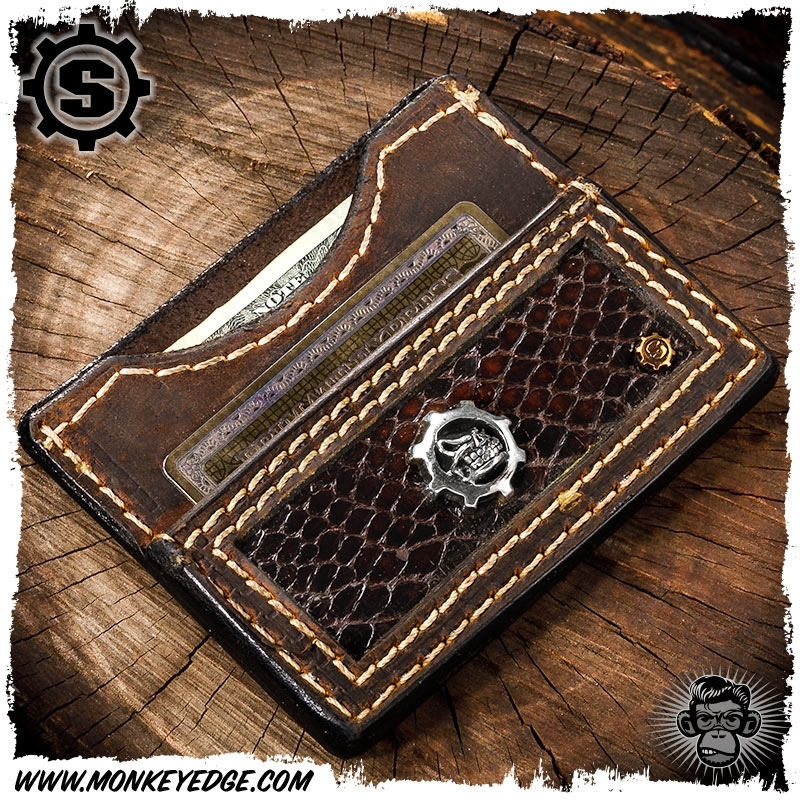 Not only is this a super high quality, hand made in the USA leather card wallet, but is a work of art in it's own right. One main pocket for carrying a few cards, with a half sleeve in the front for easy access to your most commonly used cards. The front pocket features a genuine snakeskin panel, adorned with a big silver Slickster Gear and copper S-Gear badge! As all Starlingear products, the card sleeve wallet is hand built in the USA and built to last generations.